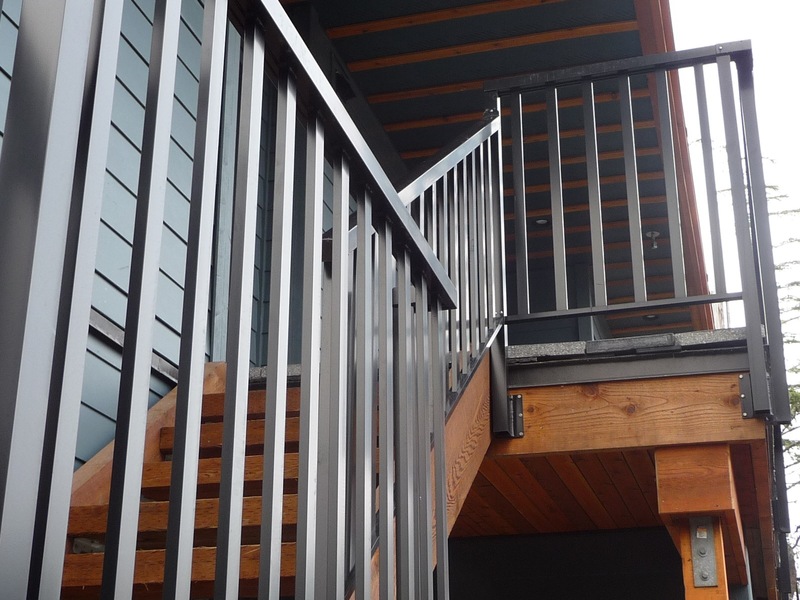 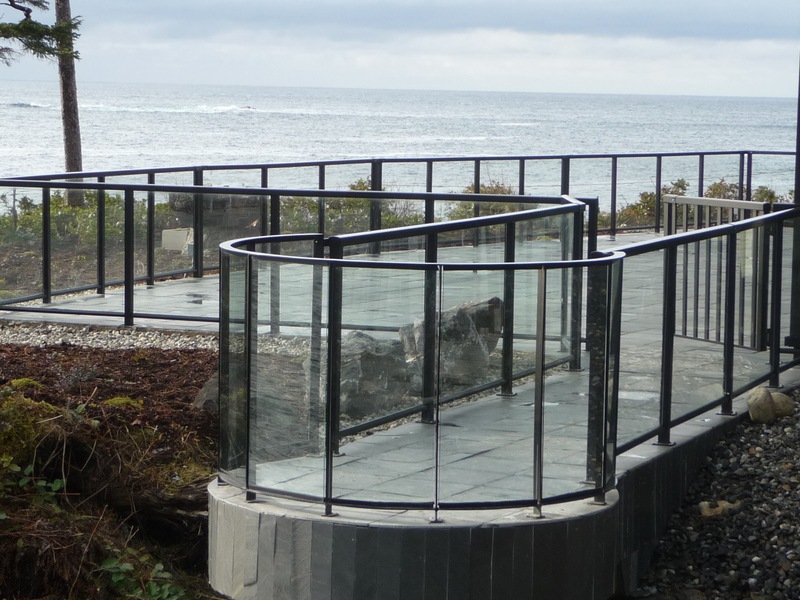 Blackrock Resort - K&S Railings Ltd. 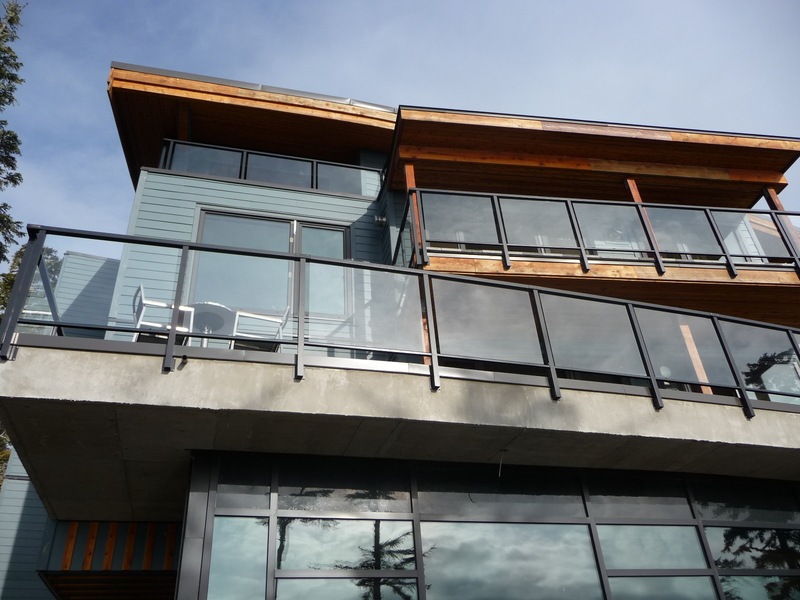 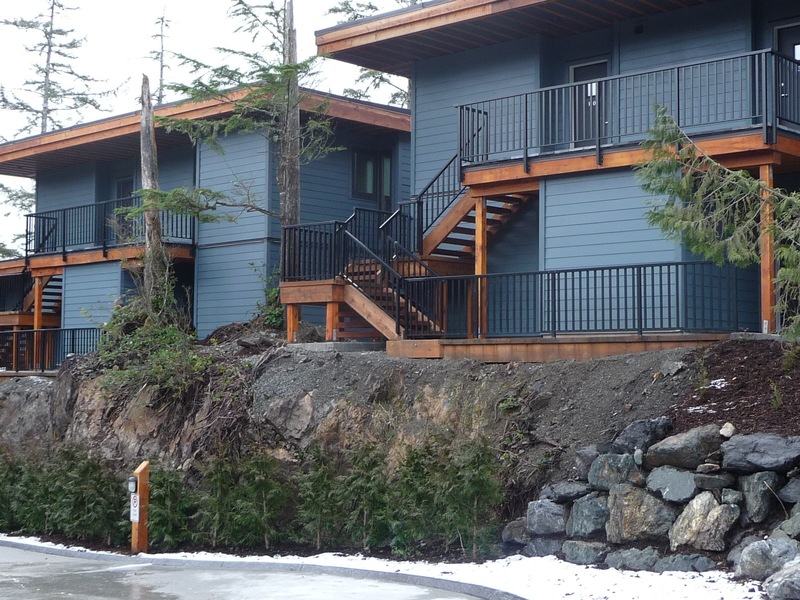 Located on a dramatic headland above the crashing waves of the Pacific Ocean, Black Rock Oceanfront Resort is surrounded by the Wild Pacific Trail and the rugged rocky coast of West Vancouver Island. 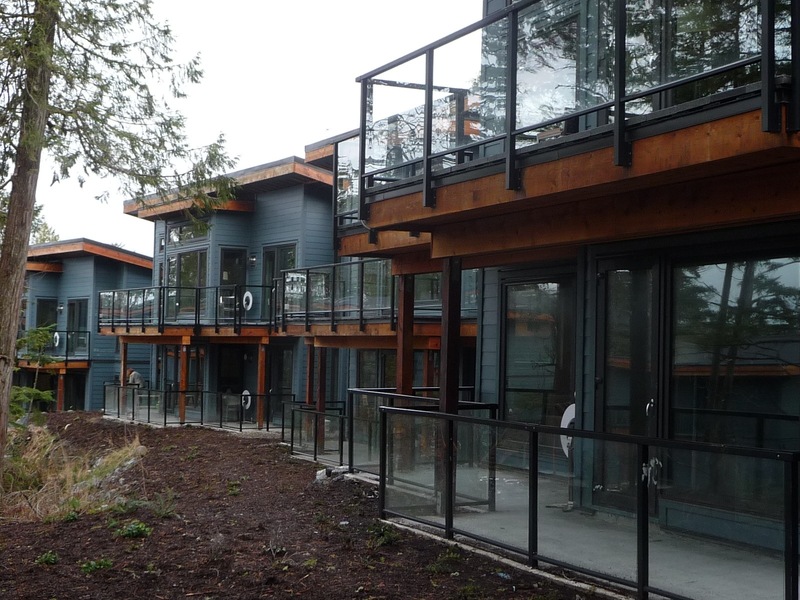 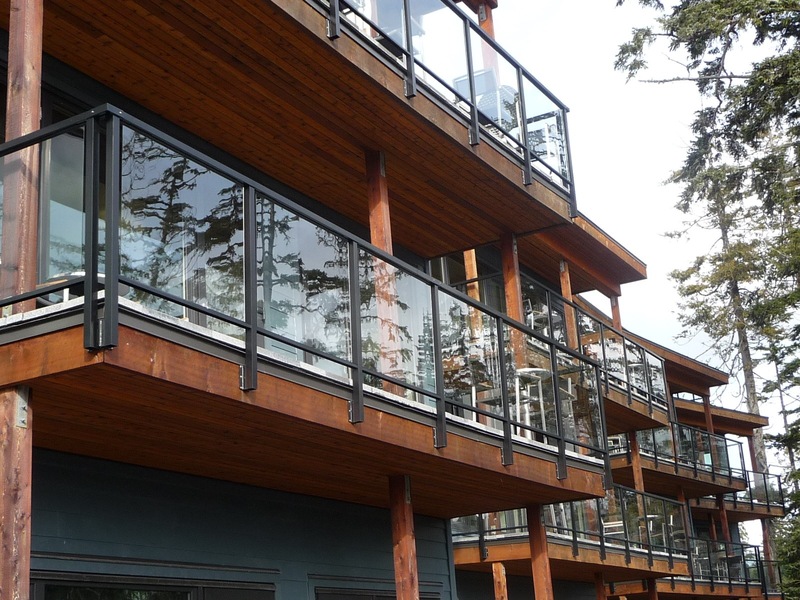 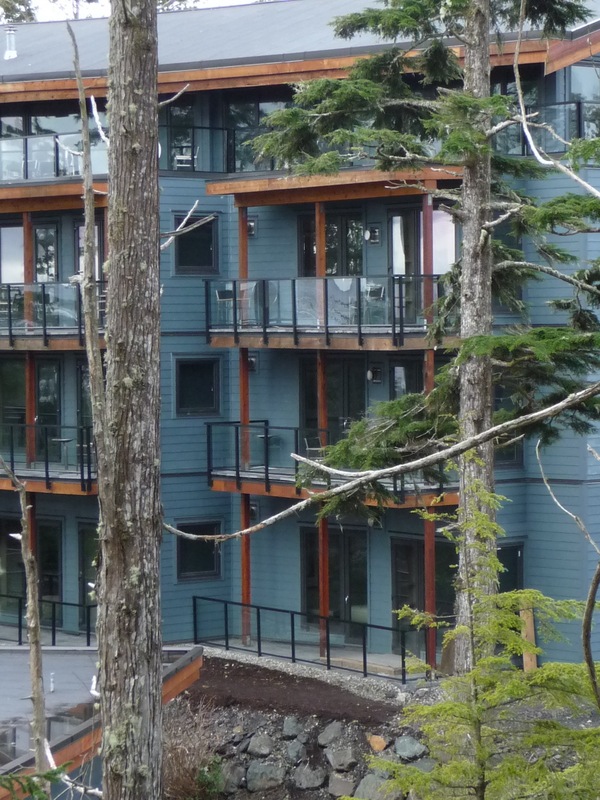 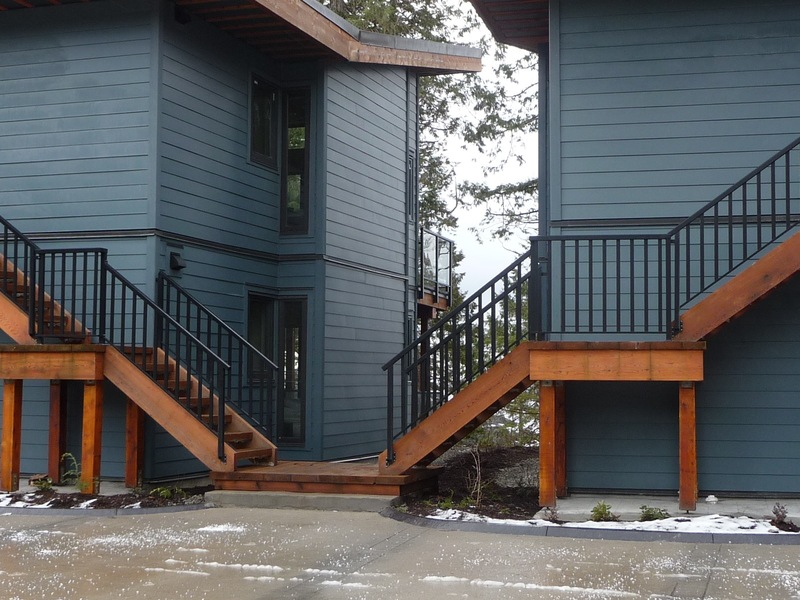 This Ucluelet resort is minutes from Vancouver Island’s amazing beaches, forests, restaurants and attractions, including Pacific Rim National Park, Long Beach, Ucluelet Aquarium and Barkley Sound. 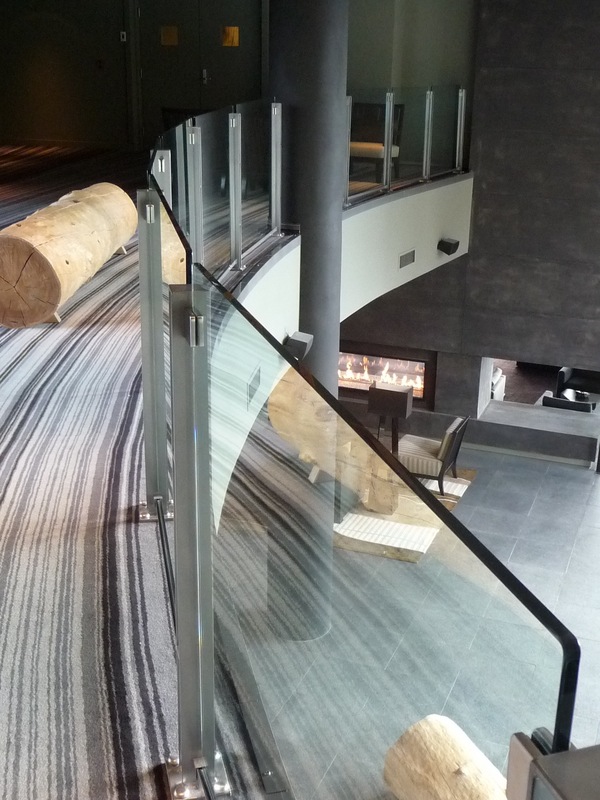 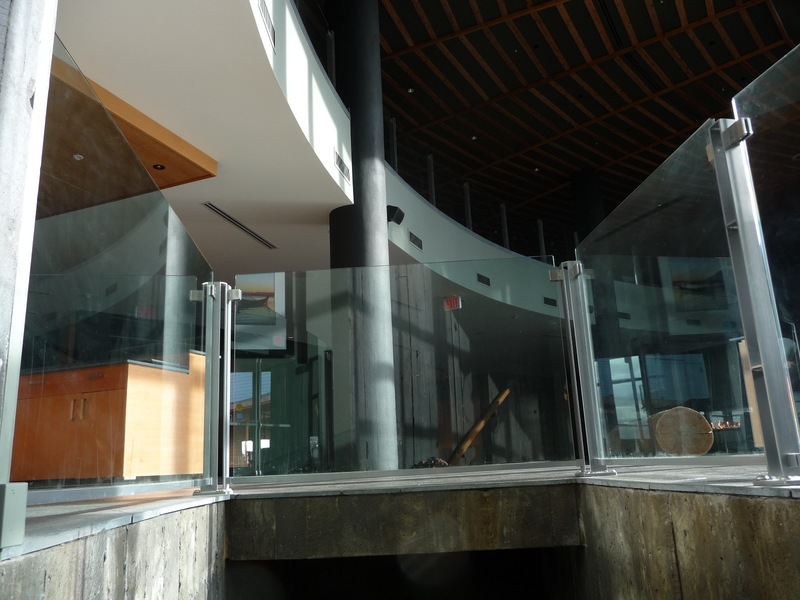 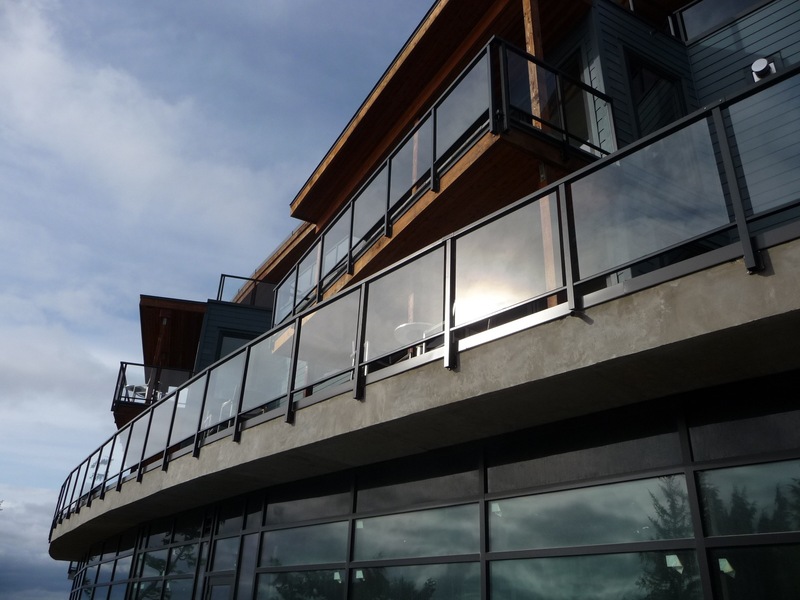 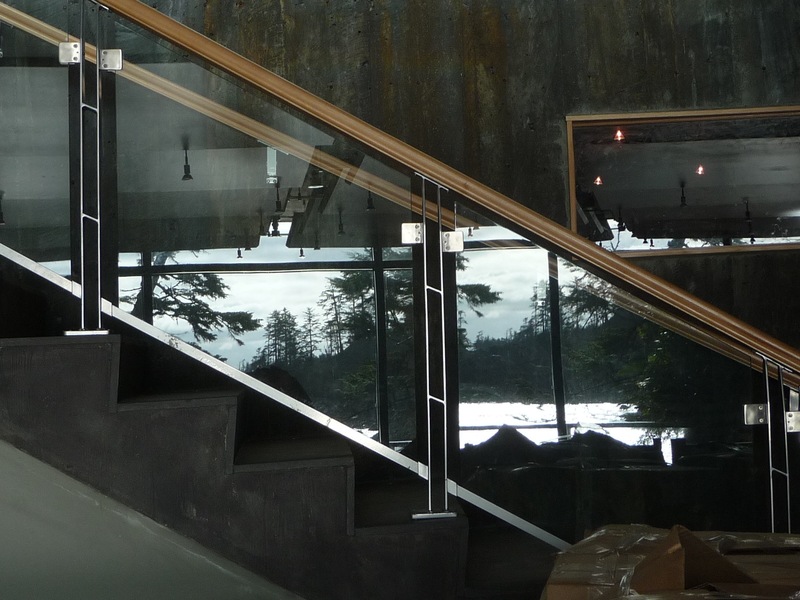 Modern railings, using square cap top rails and featuring a mixture of 1-1/2″ picket and 5mm glass panels for a clear unobstructed view of the ocean, are featured throughout the resort. 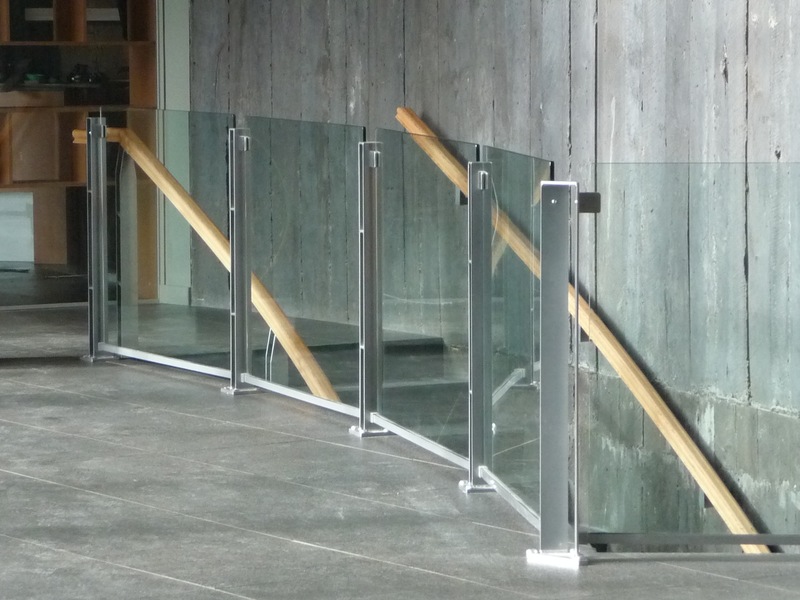 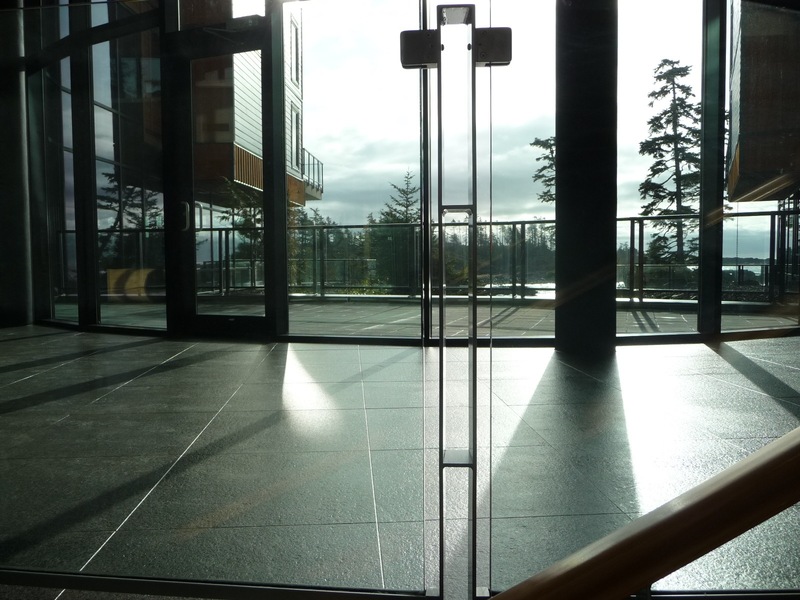 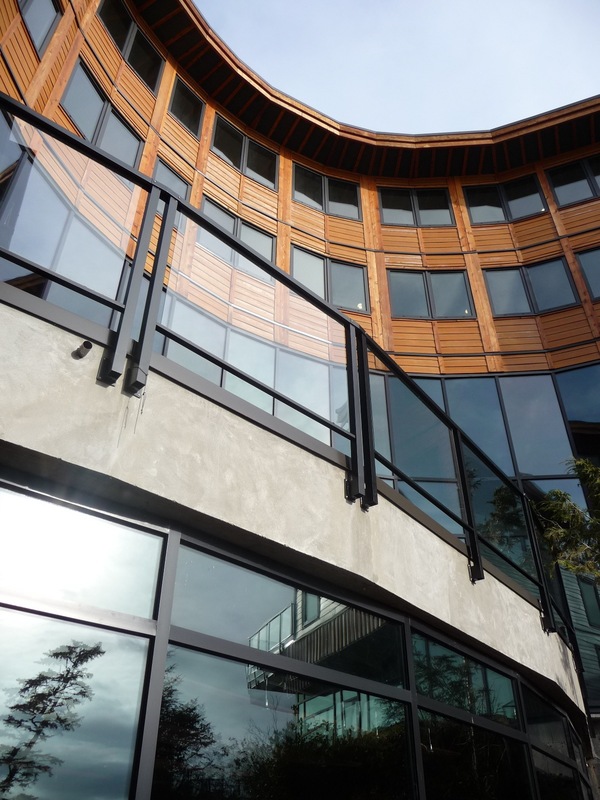 Interior glass panels are constructed using 12mm tempered safety glass with brushed steel fasteners, offering the ultimate in durability and high-end design.